This little community is dedicated to retired footballer Zinedine Zidane, a celebrated playmaker for France and Real Madrid and considered as one of the best footballers of all time. These images are from June, 2009. 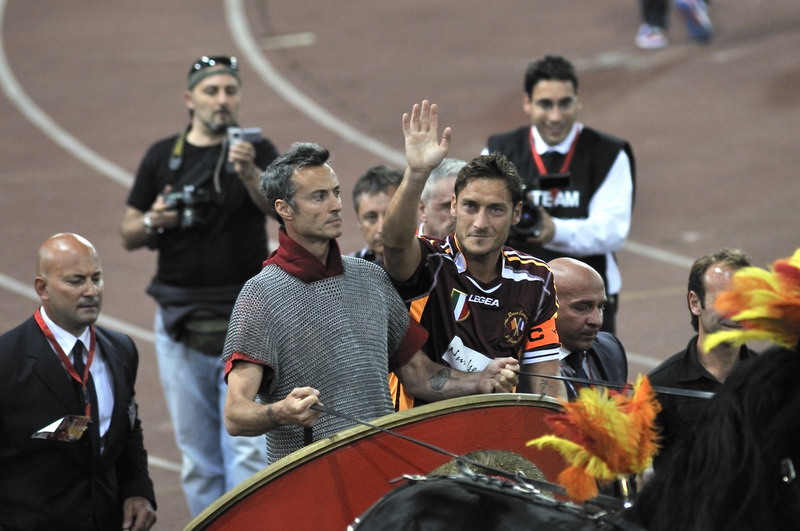 Former France international and longtime AS Roma star Vincent Candela was given a huge send off at Rome's Stadio Olimpico in a charity match between Candela's France 98 teammates vs. his 2001 Scudetto winning Roma teammates. 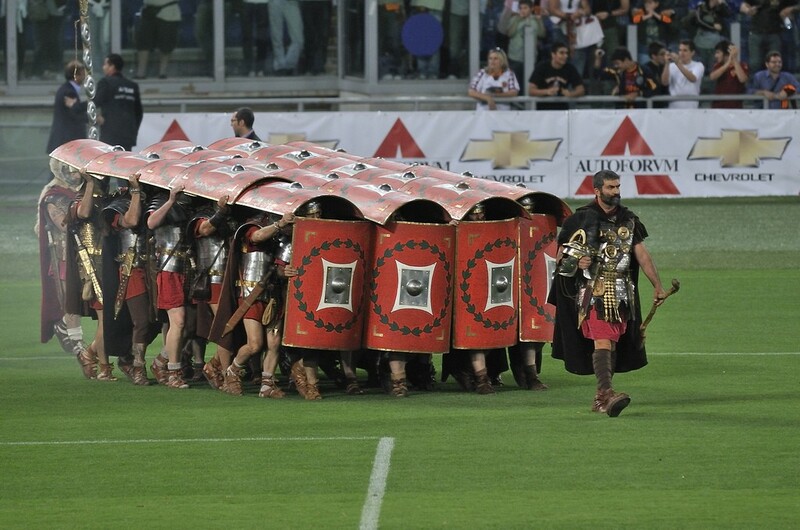 The match (which Roma won) was typical friendly kick-about but the opening ceremonies were rather spectacular as you shall see. 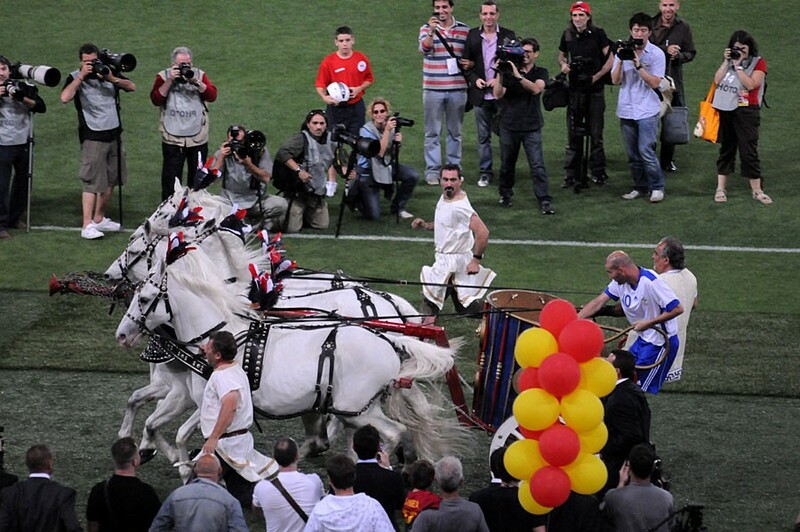 The respective captains - Zizou and Francesco Totti made their entrances in Ben Hur style in horse drawn Roman chariots !!! 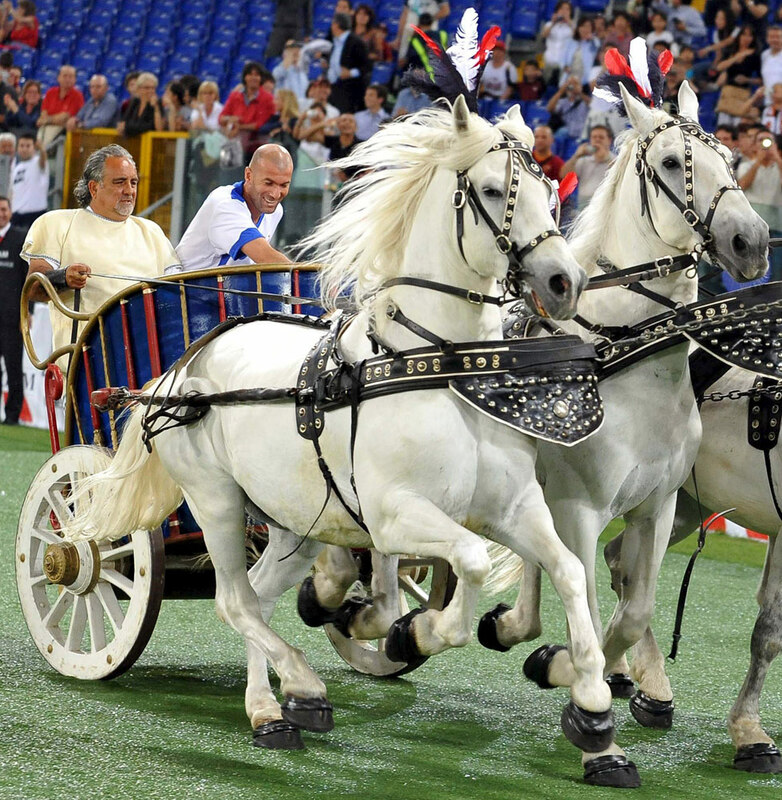 It was all very festive and the images keep popping up on my radar and yes, I realize these are almost exclusively from Italian sites so I am not expecting too much lens time given to the French NT or Zizou but my gripe is this: I imagine that Roman Chariot drivers are in short supply in Italy these days but the organizers could have surely found someone other than Tony Soprano to chauffer Zizou's chariot? 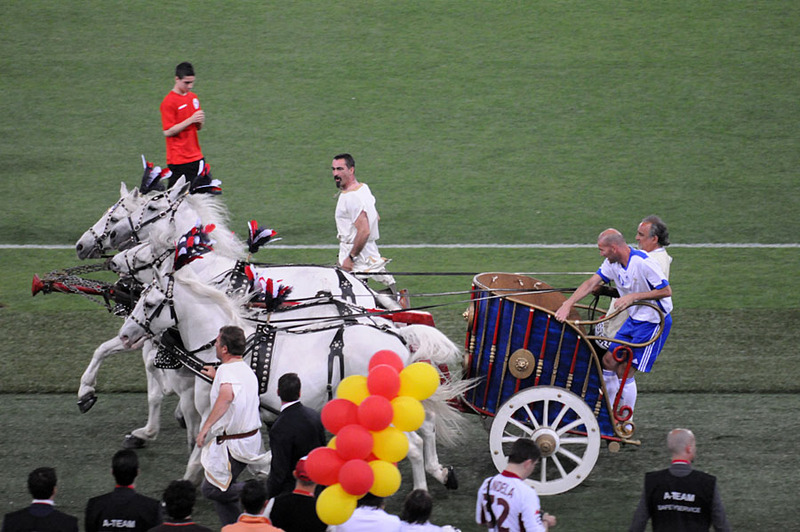 After all these years I am convinced the Italian organizers were trying to kill Zizou - look how leisurely Totti's chariot is going and how relaxed he looks whereas Zizou's rather rough looking chauffeur seemed to be deliberately trying to make his ride as rough as possible !! 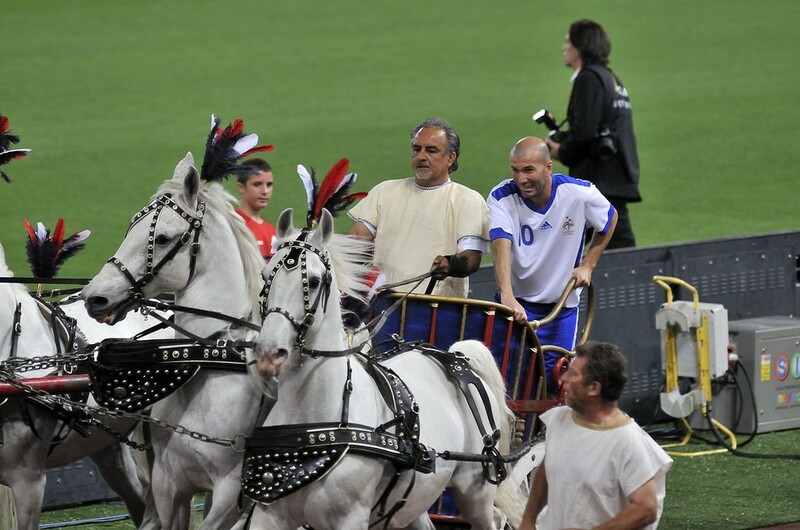 Zizou's expression is timeless haha <3 love the photos!